A play with horror, humor, pathos … and songs by the best unknown rock band in Cambodia! Cambodian Rock Band is not yet available to license. By clicking the Request License button, you can sign up to be notified when this title becomes available. In 1978, Chum fled Cambodia and narrowly escaped the murderous Khmer Rouge regime. Thirty years later, he returns in search of his wayward daughter, Neary. Jumping back and forth in time, thrilling mystery meets rock concert as both father and daughter are forced to face the music of the past. 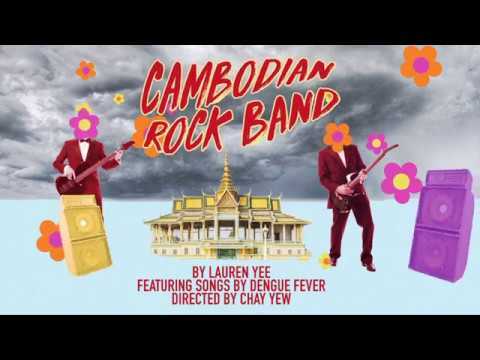 From playwright Lauren Yee (King of the Yees, The Great Leap) comes a story filled with horror, humor, pathos, and songs by the best unknown rock band in Cambodia! Setting: The play is set in: phnom penh, cambodia (april 2008), outer phnom penh, cambodia(april 1978), and phnom penh (april 1975). cambodian new year happens in april.